For many of us, summer is more than the beach and the cricket; it’s putrid sweat and the desire to be in air conditioning at all times. As we near the end of the year, the days are getting hotter and hotter, and some Australians won’t be coping well. 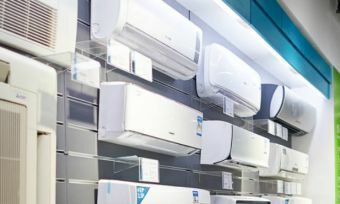 This is the time of the year when we see a massive spike in air conditioner sales (no prizes for guessing why), but some consumers might be holding off on buying a new unit because of the perception that they’re too expensive – or just that any good air conditioner will come at a very high price. Well, we’re here to dispel that myth – at least somewhat anyway. The truth is that air conditioners and the cost of running them can come cheaper than you may think. We scoured the web to find what we think are some of the best cheap air conditioners for sale in Australia. We will even calculate approximate electricity costs for you, because cheap air conditioners can also unfortunately mean a lower energy star rating. We’ve calculated daily running costs based on the assumption that the average household uses an air conditioner for an average of three hours per day, and also assuming the air conditioners in question are running at full capacity in that time. Remember that if you plan on using your air con for longer, your annual running costs will be higher than those in this article. One more thing to note is that for our calculations, we used an electricity cost of $0.29/kWh. Rates vary by retailer and area, so keep this in mind as well. 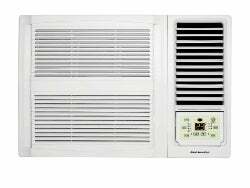 So without further ado, let’s have a look at some of the cheapest air conditioners on the market, broken down into split system air conditioners, window air conditioners and portable air conditioners. Read on to find out how to get the best bargain. Portable air conditioners are great if you want flexibility, as many come on castor wheels and can be moved around the house from room to room when you need them. Though, what are some cheaper ones out there? Designed with a smaller room of 20m² in mind, the Altise offers fuss-free cooling at a cheap purchase price. Omega designed it so it’s easy to use and simple to set up. It’s suited for a study or a bedroom, and all you need is a power point and a nearby window. The exhaust hose will connect the unit to an included seal plate. Control the breeze with its simple touch interface and enjoy the fact that cleaning is fairly minimal – fortnightly cleaning of its filters and emptying the water tank when it gets full will keep this little fella happy. It also boasts a 55dB indoor sound level, which is near whisper quiet. This Dimplex model is a self-evaporative model meaning you don’t need a drip tray or attached hose. It comes on casters and has an operating temperature range between 17 and 35°C. It’s suitable for rooms up to 15m² in size, which is about the size of an average bedroom. It’s quieter than the Omega model above, with a 51dB operating level, which is about the noise of some moderate and pleasant rainfall. So if you can fall asleep to rainfall, this air conditioner may be able to nestle you to sleep also. For additional cooling capacity, this bad boy from Omega Altise offers 3.5kW. It features three fan speeds – high, medium and low – as well as four operating modes – cooling, fan, dehumidify and automatic. There’s a 24 hour timer for convenience plus a remote control, allowing you to switch between settings from the comfort of your couch. Its temperature range sits between 16 and 31°C. As it has a total weight of 28kg, it comes on castor wheels for easy mouvability. Ahh, the old window rattlers – back in the day they’d soothe you to sleep by humming incessantly, sometimes causing your window to vibrate. They’ve come a long way though, to the point where they now stand as a popular, easy and most of all cheap choice for Aussies wanting more ‘bang for buck’ cooling. Window air conditioners are virtually ‘plug and play’. All you need to do is find a suitable window, take out the frame and rest the unit there where the condenser can live in harmony. Let’s take a look at some of the cheapest window air conditioners out there. Perhaps one of the cheapest air conditioners out there to both purchase and run, this Kelvinator air conditioner also boasts a few other perks beyond just ‘bang for buck’ cooling. It comes with a 48dB operating level, which is barely above a whisper, auto restart so it can pick up where you left off, and three fan speeds. It comes with a two year warranty. Be aware, however, that despite the very cheap purchase price and low running costs, 1.6kw is likely not great for anything other than studies or small bedrooms. This also means that to get maximum cooling with a larger room you’ll have to run it more intensely for longer, which can drive up power bills. If you’re after the cheapest, quickest solution this may be it, but if you’re after the most effective then you may want to look elsewhere. If you’re after a window air conditioner with a bit more ‘oomph’ this model may be more suited. It offers 2.2kW of cooling capacity and comes fitted with a 10amp plug, so you don’t have to worry about any electrical installation woes, simply plug it into a standard power outlet. It features a 24 hour timer, allowing you to set the air con to start cooling the house an hour before you arrive home as well as a sleep mode and swing function. It also comes equipped with electronic controls on the front panel, plus a remote to switch between settings. It’s stated to produce 55dB of indoor noise and 62dB of outdoor noise. 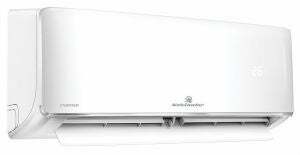 Kelvinator also offers another window air condition in the same cooling capacity range. With 2.2kW on board it is suitable for an average-sized bedroom. It boasts an operating noise level of just 43dB – maxing out at 49dB – and comes with three fan speeds. It also comes with a wireless remote control and a two year warranty for peace of mind. It features a 24 hour timer, and even a sleep mode for that ultra-quiet operation. And of course it comes with auto restart to remember your settings from last time. It retails for under $600 but can be found for under $500, making it a quick and affordable cooling solution. We’ve come to the business-end of town now. Split systems are regarded as the bee’s knees when it comes to cooling, and are probably one of the more popular air conditioner types. Overall, expect split system air conditioners to be the most efficient at cooling your room – that is to say, they’ll cool down faster and feature automatic cooling so to limit capacity when the room is already cool or when people leave it. You can expect split system units to have more bells and whistles, and to operate at near-silent levels. Though, what can you expect from the bargain end of the catalogue? 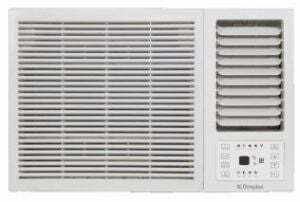 Here are some cheap split system air conditioners. Despite the relatively cheap purchase price, this Kelvinator split system packs a lot in. It is a reverse cycle system meaning it can both cool and heat and can operate manually or automatically. It comes with a backlit LCD remote control, and a ‘Follow Me’ command to let the air conditioner direct airflow as you move around the room. 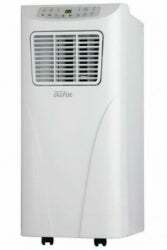 It operates at just 42dB and features BioFresh filtration stated to purify, sterilise and deodorise the air. Its 2.5kW isn’t a world-beating cooling capacity by any means, but it is enough to cool or heat an average-sized bedroom. It comes with a five year warranty and can be found under $900. With a bit more cooling capacity, this TCL is ideal for small rooms such as a bedroom or kitchen area. Its remote operation allows you to control various functions including the swing feature without getting off the couch, plus with a 24 hour timer, you can program the air con to switch on according to your daily schedule. It also features a dehumidifier functionality along with an LED display to give you access to the current cooling or heating temperature selected. It comes with a five year manufacturer warranty for peace of mind. Stepping it up a notch, this Kelvinator system offers a great power to price ratio. With this unit you can expect more efficient cooling of medium-sized rooms. 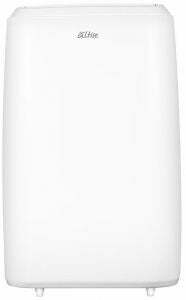 It has a 42dB indoor sound level, which makes it a smooth operator. Like its little brother above, it’s also a reverse cycle. With 3.5kW on board, you should expect it to cost more to run, but the extra power should keep you as cool as a cat, and cool rooms with less work involve, potentially bringing down electricity costs in the long term. It comes with all the features you’d expect in an entry-level Kelvinator split system, and comes with a five year warranty. No matter what type of air conditioner you need, it pays to do your research. 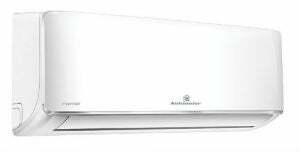 Also keep in mind that the cheapest air conditioners generally carry low cooling capacities at under 4kW. While this is fine for a bedroom or closed-plan lounge room, they are likely unsuitable for open plan areas or bigger lounge rooms and may have to work harder to achieve the same result as a bigger unit. 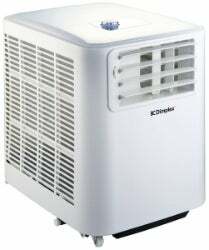 Should I buy a cheap air conditioner? Reading this comparison of cheap air conditioners, you’ve probably realised that cheaper doesn’t necessarily mean efficient. While these units are at the cheaper end of the scale, the power levels can leave a lot to be desired. You might find that the money you save now could cost you in the long run through having to run the air con for longer and under more duress to cool the room you’re in. The estimated daily running costs of these air conditioners seem pretty reasonable now, but those costs quickly add up. Over the course of a month, you can expect your air con bill alone to reach about $40. So, which type of cheap air conditioner should you go with? The obvious pick for the most ‘budget’ air conditioner would be a portable unit. Portable air conditioners represent great ‘bang for buck’ and have the added bonus of being flexible as to where you put them. Split system units are more expensive, but likely to be more efficient at cooling and will be quieter, too. 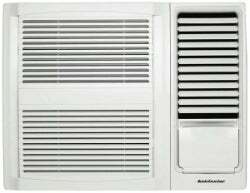 Window air conditioners tend to sit somewhere in the middle – not particularly efficient or powerful, but not very costly to purchase either. Overall, there are lots of factors to consider and every home is different. It’s really about finding the best risk versus reward trade-off. You could buy cheap and be left disappointed, but you might also just bag a bargain and walk away with a low price air conditioner that serves your purpose just fine. Good luck!